Virtually all Jaguar and Land Rover vehicles – except the F-Type sports car – will get a diesel engine option in the next three years, the company confirmed Sunday night at an event before the Detroit Auto Show. The aggressive blitz begins this fall, when the 2016 Range Rover and Range Rover Sport will launch with available turbocharged 3.0-liter V6 diesel engines. They will push out 254 horsepower and 440 pound-feet of torque, while returning fuel economy of up to 28 miles per gallon on the highway. The combined rating in city and highway driving will be 25 mpg. The Rovers will be followed in 2016 by the XE sedan and F-Pace crossover, which will offer the 2.0-liter turbodiesel four-cylinder engines, in addition to gasoline units. The diesel-powered XE is expected to get at least 40 mpg on the highway, Jaguar Land Rover North America CEO Joe Eberhardt said. The oil-burners are expected to offer 20-to-30 percent improvements in fuel economy compared with gasoline engines, depending on the vehicle. JLR's announcement comes as gasoline prices have plummeted in the United States, and regular fuel costs about $1 less than a gallon of diesel, according to AAA research. Still, the company is taking the long view, and Eberhardt said diesel engines offer greater performance and range than other options. 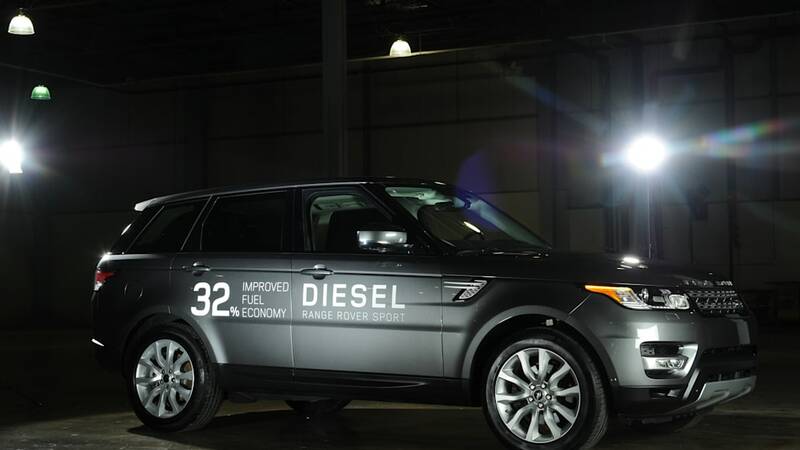 JLR expects about 20 percent of its customers will opt for diesel engines. "We strongly believe this is what our customers will want, regardless of the fluctuations in gas prices," he said. 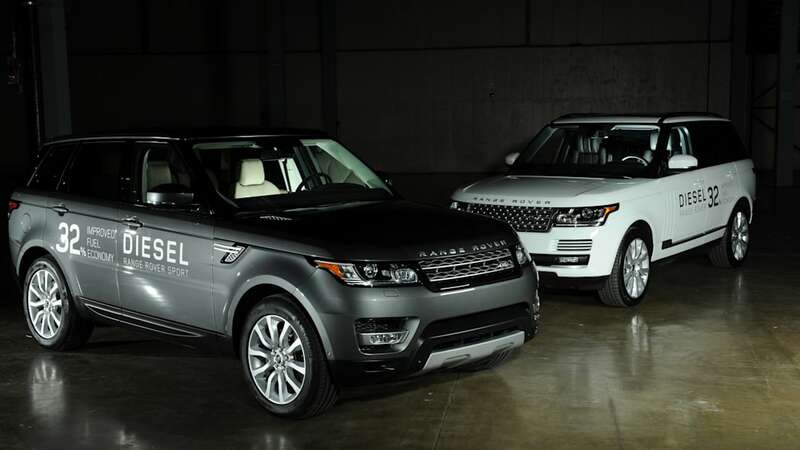 (MAHWAH, N.J.) – January 11, 2015 – Jaguar Land Rover confirms several new vehicle announcements today including an all-new model to the Jaguar lineup, the Jaguar F-PACE, and diesel power options for most of its luxury line up, beginning with the 2016 MY Range Rover and Range Rover Sport luxury SUVs. The company also announced its global sales results for 2014 and for the first time in North America, debuted the all-new Jaguar XE. Both the all-new Jaguar XE sport compact luxury sedan and the two Land Rover luxury diesel SUVs will debut at the 2015 North American International Auto Show. The production version of the breakthrough C-X17 concept car, the Jaguar F-PACE extends the model lineup into the compact crossover market. Style, performance and practicality are neatly packaged within the intelligent aluminum architecture that can comfortably seat five adults and deliver driving dynamics true to Jaguar DNA. 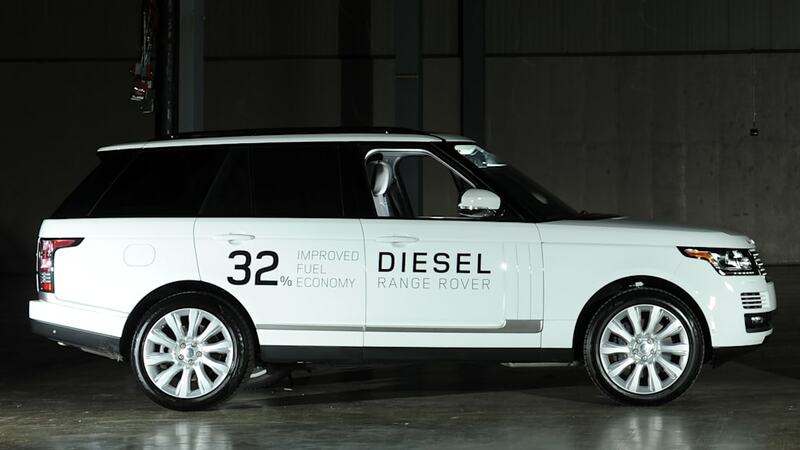 Joe Eberhardt, President and CEO Jaguar Land Rover North America, comments, "We intend to roll out fuel-efficient diesel powered vehicles across Jaguar and Land Rover lineups on virtually every model over the next 3 years. 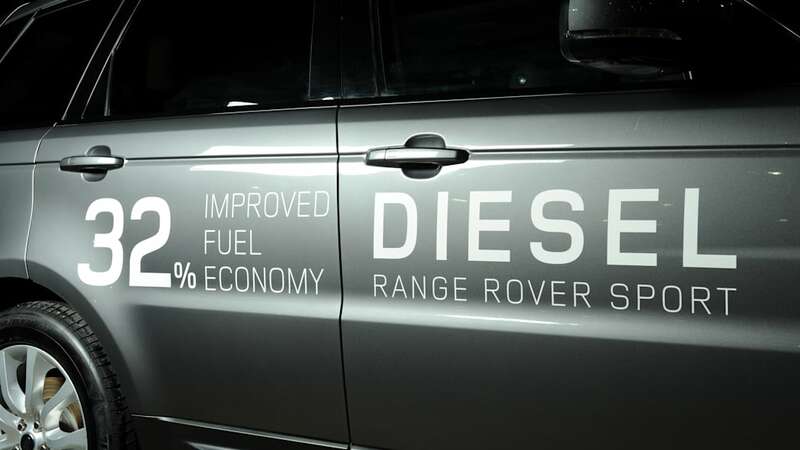 Starting with the Range Rover and Range Rover Sport Td6 Diesel, this Fall, almost every vehicle in the Jaguar and Land Rover line up will offer an optional diesel powertrain delivering anywhere from 20 to 30 percent improvement in fuel economy versus the comparable gasoline version." 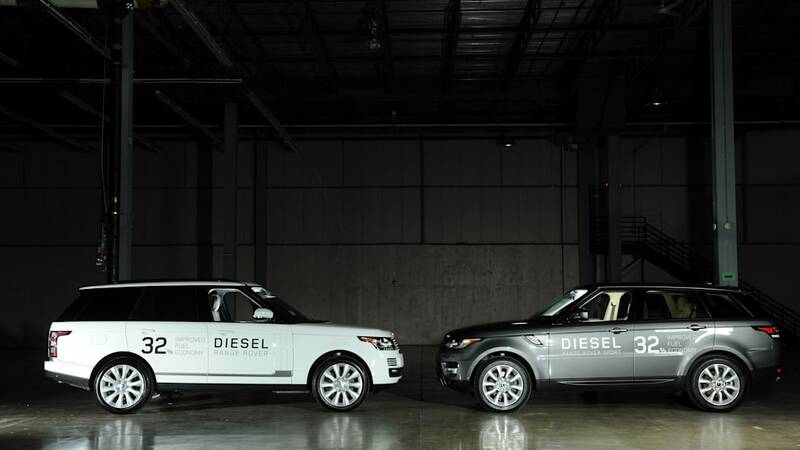 The first two new diesel powered models to go on sale in North America will be the Land Rover Range Rover Td6 and Range Rover Sport Td6, both capable of delivering 25 miles-per-gallon combined, a 32 percent improvement compared to their gasoline supercharged V6 equivalent. Power is derived from the company's 3-liter Td6 turbocharged V6 diesel engine which delivers effortless performance thanks to 254 horsepower and a low-end torque output of 440 lb-ft.
Making its North American debut at the auto show is the all-new Jaguar XE compact luxury sport sedan. When it goes on sale in North America in 2016, the Jaguar XE will come with a choice of 340 hp supercharged V6, also found in the Jaguar F-TYPE, and the company's new Ingenium diesel engine. Customers will also have a choice of RWD and AWD powertrain options which will be offered in both manual and automatic transmissions. Jaguar Land Rover global sales made history with the solid sales performance in 2014, retailing 462,678 vehicles, up 9% versus prior year. This marks the company's 5th successive year of growth in sales. Jaguar Land Rover's global performance for the full year 2014 shows a balanced portfolio with sales up across all key regions: 122,010 in the China Region, up 28%; 96,505 for Overseas, up 1%; 86,310 in Europe, up 3%; 82,872 in the UK, up 7% and 74,981 in North America, up 2%. Jaguar Land Rover U.S. sales for 2014 slightly exceeded 2013, 67,238 units compared to 66,962 units in 2013.